The blind wife (Audrey Hepburn) of a man (Efrem Zimbalist, Jr.) who unknowingly possesses a doll stuffed with heroin is terrorized by three men (Alan Arkin, Richard Crenna, and Jack Weston) determined to get the doll back at any price. 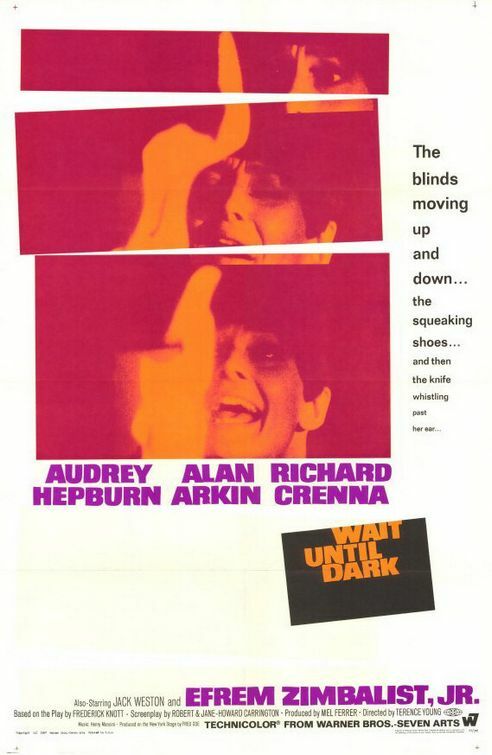 Wait Until Dark — based on a Broadway play by Frederic Knott (who also wrote Dial M for Murder) — is an often chilling and well-acted but ultimately frustrating thriller. It’s undone by its very premise, which is simply too contrived to swallow — beginning with the opening scenes, in which Hepburn’s naive husband (Zimbalist) befriends a beautiful woman (Samantha Jones) on a plane and agrees at the last minute to take a (heroin-filled, though he doesn’t know that) doll from her. 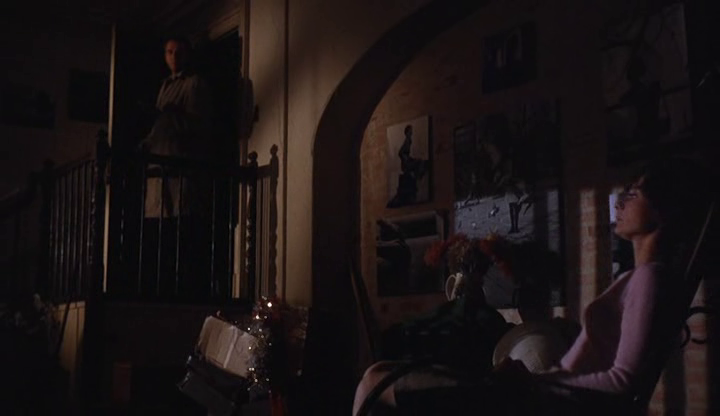 After this puzzling, dialogue-free scene (frustratingly, we don’t learn until far too much later the rationale behind why Jones gave up the doll, and why Zimbalist accepted it), we’re suddenly plunged into the heart of the thriller, as we learn that the doll is now somewhere in Hepburn’s house — though once again, we’re given too little information to go on (what does Hepburn know about the doll, if anything?). Next, we’re introduced to an inexplicably bratty neighbor girl (Julie Herrod) who magically transforms into the more helpful assistant/accomplice Hepburn needs her to be, and we begin to learn more about the needlessly convoluted scenario the three con-men have devised in order to befriend Hepburn and convince her to give up the doll’s location. Clearly, there are flaws in the essential construction of the plot — yet director Terence Young does a fine job building and maintaining a fair amount of tension throughout; we can’t help wondering what will happen next, and how/when Hepburn will finally realize she’s being duped (then survive). The last half-hour of the film is particularly chilling, and is notable for supposedly offering audiences only the second on-screen instance of a now-very-common kind of horror thrill (which I can’t give away here at risk of divulging spoilers). The film as a whole remains of historic interest as well, given that it offered Audrey Hepburn her last significant role before her semi-retirement at the age of 38; along with Young, she trained extensively beforehand at a nearby institute for the blind, and is remarkably convincing. She deserved her Academy Award nomination for the role — though interestingly, Peary insists she actually should have been given the award for her performance the same year in Stanley Donen’s Two for the Road, and neglects to even nominate her for her work here. No, but it’s certainly recommended for one-time viewing. Not a must. Not a completely terrible movie – since the direction keeps it more less afloat, but I wouldn’t particularly recommend it. I have seen it several times, but don’t have a desire to ever return to it. I’m largely in agreement with the assessment, and agree that the premise is rather shaky. I will say, though, that I saw this on release at age 12 – and the scariest moment in the film was indeed scary in a movie theater. I still remember the audience screaming, not being accustomed to the kind of thing that has now been done to death in countless films. 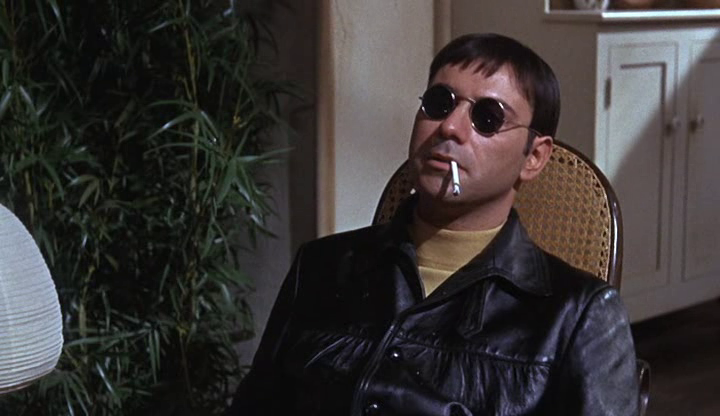 I’ve heard Alan Arkin say a few times in interviews that he was extremely uncomfortable in his role, mainly because he liked Audrey Hepburn so much and did not enjoy being her villain. As well, a friend of mine (blind) always used to consider this film something of a comedy, since she found much of Hepburn’s behavior as a blind person simply ludicrous.